He isn't as recognizable as he was, at least looks-wise, when the regular season was in full swing, but since the playoffs began, Johnny Boychuk has become a well-known figure in Boston. It's surprising what two playoff series wins and a little facial hair can do for your profile. After a hard-fought seven-game victory over the Montreal Candiens in the opening-round of theEastern Conference playoffs; and a four-game sweep of the Philadelphia Flyers in their semifinal matchup, the Boston Bruins are the toast of Massachusetts these days. For Boychuk, who has provided the Bruins with steady defensive play throughout the entire 2010-11 campaign, walking down the street, buying groceries or eating a restaurant has been a decidedly different experience now that Boston is one step away from contesting the Stanley Cup. And what of that playoff beard? The best, he offers, is sported by the Bruins' captain, Zdeno Chara. The 27-year-old Boychuk, who was traded to the Bruins in exchange for Matt Hendricks on June 24, 2008, is hoping the Bruins get there, more specifically, getting themselves a date in the Cup Finals. It hasn't been exactly easy so far. After spotting the Canadiens a two games to none lead, Boston fought back to win the series in seven games, needing overtime to oust their Original Six foe. In the second round, the Bruins faced the Flyers, a team that roared back from three games down last season to eliminate them in seven games. This time, however, Boston required the minimum four games to send Philadelphia to the sidelines, to set them up against the Tampa Bay Lightning for Eastern Conference bragging rights. Their confidence spilled over into their series against the Flyers. 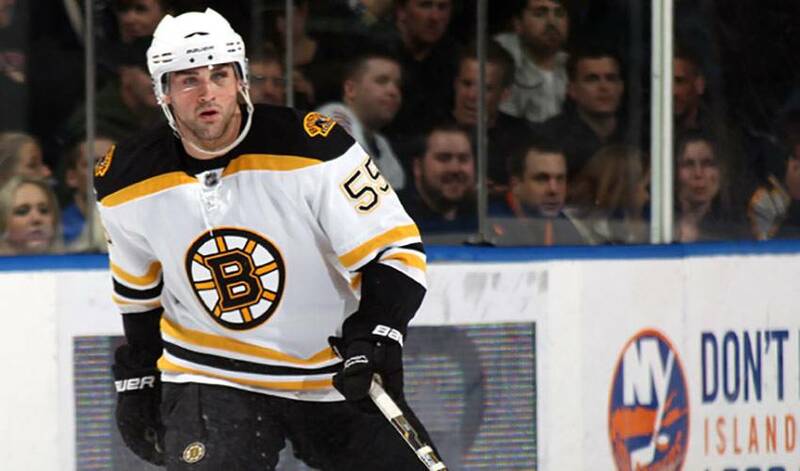 The hard-hitting and soft-spoken Boychuk has been a big weapon for the Bruins in the post-season. It was Boychuk who broke a 1-1 deadlock early in the third period against the Flyers on home ice in Game Four of their playoffs set. His heavy shot propelled Boston to an eventual 5-1 win in front of an appreciate crowd at TD Garden. And so, too, is the man from one of hockey's most successful cities when it comes to hoisting the Cup. Boychuk's certainly not greedy about the idea of hoisting hockey's most prized team trophy over his head. And one more winning round could just give Boychuk's beard a passing grade. Whether it does or not, Johnny Boychuk doesn't have to worry. He already looks great in the eyes of Bruins' fans.